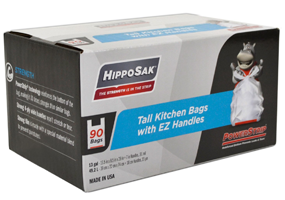 Steward of Savings : FREE Hippo Sak Tall Kitchen Trash Bags Sample Pack! FREE Hippo Sak Tall Kitchen Trash Bags Sample Pack! Have you tried Hippo Sak trash bags ? These are strong Trash Bags at best! Request your FREE Hippo Sak Tall Kitchen Trash Bags Sample for a limited time, just complete FORM with your deet's to redeem offer and expect your sample n 4-6 weeks!